FC Dallas signs defender @MoHernandez92; former @FCDallasYouth Academy star has over 130 first division appearances since 2012. Chelsea forward Tammy Abraham is linked with a loan move to Aston Villa but the 20 year old is rather interested in a temporary switch to a Premier League side. Manchester City have lowered their asking price for Joe Hart to £5 million. The Cityzens are keen on getting rid of Hart this summer and would be willing to even let him leave the Etihad for free next summer if he is unable to find any suitors this window. The former England goalkeeper has entered the final year of his contract and has been a part of City's pre-season squad for the tour of the United States after loan spells at Torino and West Ham United in the past two years. 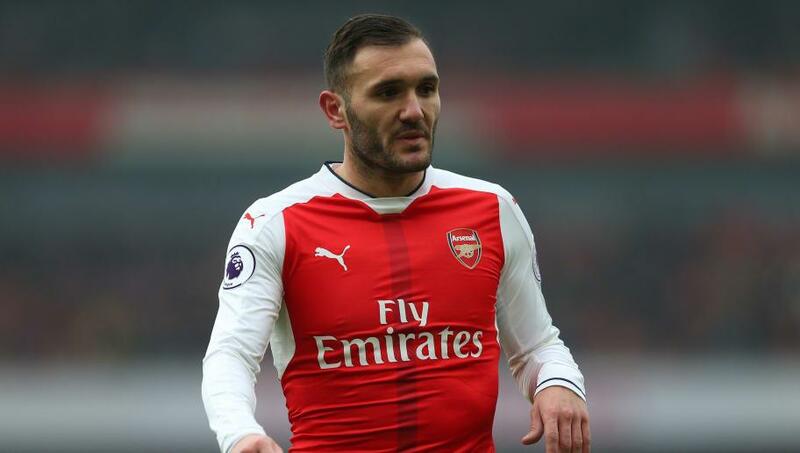 Frosinone are working on a deal to bring Arsenal outcast Lucas Perez on loan after the striker visited the Serie A club's facilities earlier this summer. Meanwhile, Lazio are also in contention for Perez but were informed by the Gunners to raise their bid to £7 million. Paco Alcacer is on the radar of Everton and Leicester City while Barcelona have slapped a £27 million price tag for the Spaniard. Bayer Leverkusen have warned Chelsea that winger Leon Bailey is not up for sale this transfer window. AS Roma are also in the hunt for the Jamaican International after missing out on Malcom with Bailey being valued at £45 million by Bayer. Fulham are interested in signing Wolfsburg midfielder Josuha Guilavogui, according to Sky sources. The 27-year-old defensive-midfielder has two years left on his contract and the Whites are looking for another player of his profile to compete with Kevin McDonald. Just to confirm, Real Madrid made no offer for #cfc winger #Willian and never intended to. #mufc is only possibility now, but player isn't pushing for it #Costa style. Manchester City have completed the signing of another young prospect. 21 year old defender Phillipe Sandler has been roped in from Dutch club PEC Zwolle for an estimated fee of €3 million. Chelsea and Manchester United target Sergej Milinkovic-Savic has dented the hopes of the Premier League duo after confirming his decision to stay at Lazio for the 2018/19 season. Chelsea have launched an enquiry to Real Madrid for midfielder Mateo Kovacic. The Croatian cited earlier this month that he is keen on leaving the Spanish Capital this window in search of first team opportunities. Meanwhile, the Blues are also in the hunt for Aaron Ramsey, whose contract situation remains unresolved at Arsenal and is available for £30 million. On the other hand, Real are keen on reluctant to selling Kovacic despite his desire to quit and has attracted interest from Manchester City too. 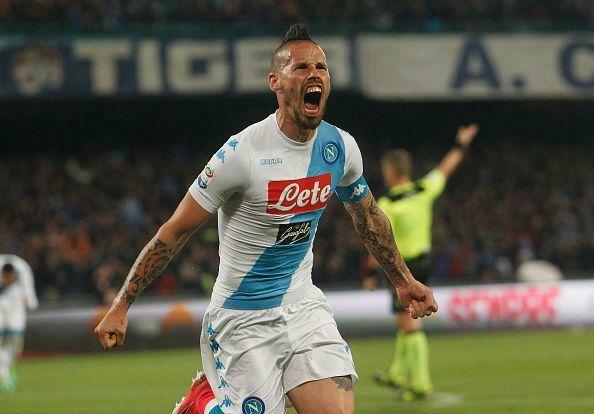 Napoli skipper Marek Hamsik has admitted that a possible transfer to Barcelona this summer was on the cards. The Slovakian was ready to make the switch if needed in order to have a greater chance of lifting the Champions League trophy. But, Barcelona are not interested in signing Hamsik and will only target players who suit the requirements of both the coach and the club despite Ernesto Valverde being a huge admirer of the 31 year old attacking midfielder. 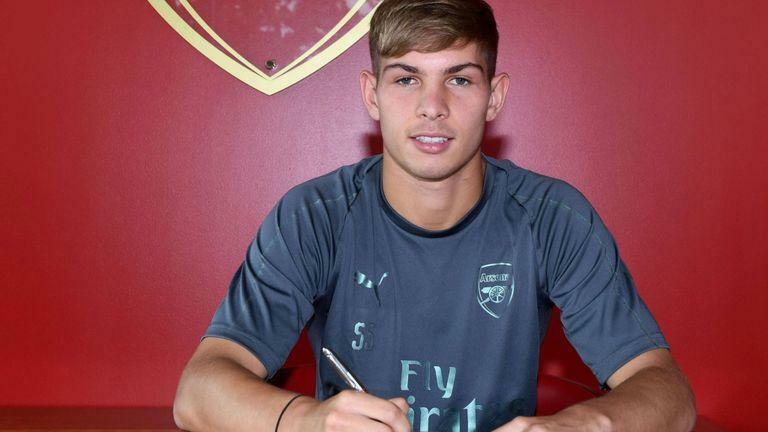 18 year old Emile Smith Rowe has signed a new long-term contract at Arsenal. Crystal Palace are holding positive talks with former Schalke midfielder Max Meyer. That’d be one hell of a signing for Palace. With Gonzalo Higuain en-route to AC Milan, Robert Lewandowski has emerged as the latest top target for Maurizio Sarri and Chelsea. The Polish International has reiterated his desire to leave Bayern Munich this summer and explore a new challenge in his career. However, Bayern boss Niko Kovac has clearly declared that Lewandowski will not leave and the club will refuse to part ways with their Star striker at any cost. The 29 year old is contracted until 2021 with the Bavarians and is valued at £80 million. Lewandowski has also been linked with Real Madrid and it could be possible that he may force his way out of Bayern by handing a transfer request some point later during this window as he seeks to play in a new team and a different league.